I did a snowshoe tour beginning at Mill D and venturing to the top of Dutches. The picture is a stitched panorama from the Cone looking west. Starting at the upper Solitude parking area, I crossed the road following the Mill F East road to the Willow trail junction, where skis were put on. As cent continued on the trail to the open south facing meadow, where threading through the shrubbery I continued to the top of West Monitior. Traversed over to the shoulder of South Monitor for a descent of the east facing to the upper flat. Ascent was up the ese facing to the ridge and a traverse back over to West Monitor for a descent off the shoulder ne facing. Ascent via the same area descending the wnw facing Will's Hill continuing down, past the beaver ponds to the road leading to the Bottom Line snowboard shop. Another bluebird day with mild temperatures and light winds. South facing is supportable in the mornings with a gradual melt down during the day. 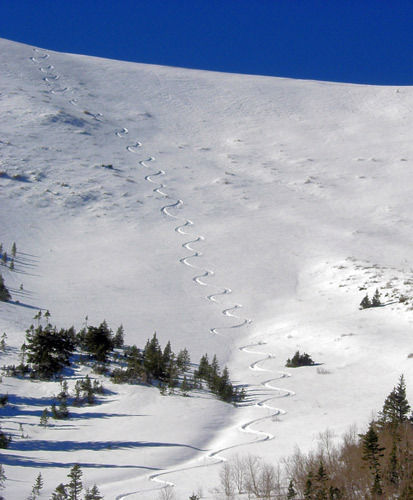 The off aspects (west and east) have variable crusts and soft snow with some wind damage thrown in. 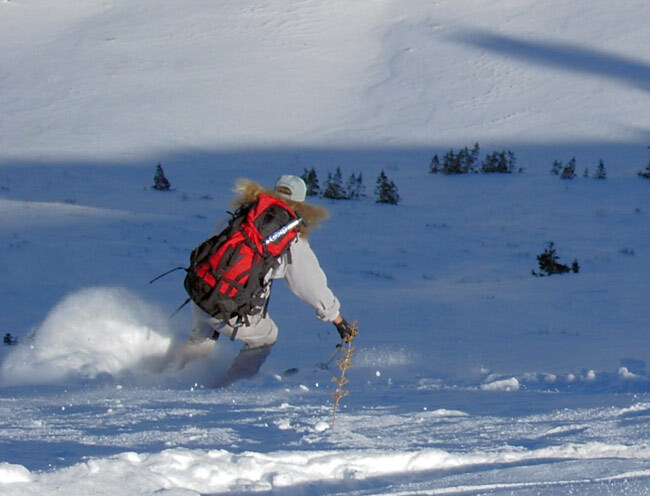 Shady slopes also have some scattered wind damage with scouring and drifting, often on the same slope. 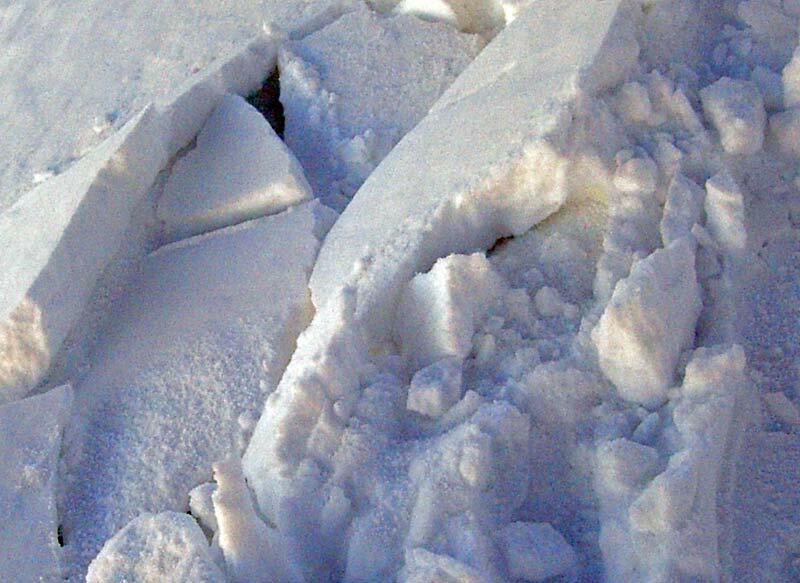 There is also extensive recrystalized and settled powder. The upper few inches are well on the way to the near surface faceted snow condition. There are puddles of graupel scattered on the slopes partially pooling, but also preserved in many areas well up on the slope and in some starting zones. The graupel is also faceted and is minimally bonded. 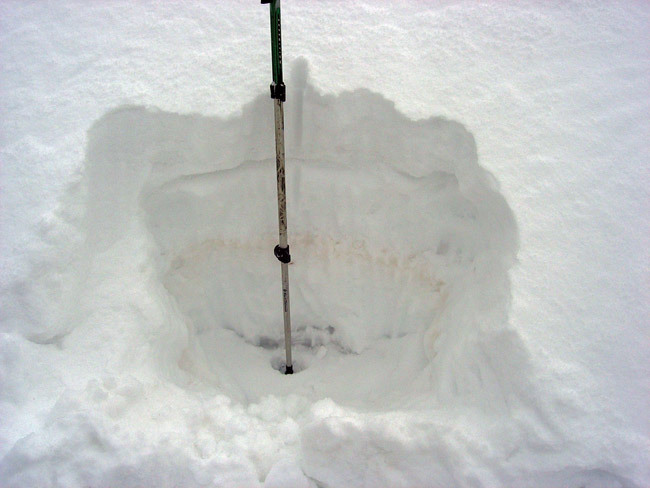 So far the snow remains supportable on the denser underlying snow capped by the November 11 rain crust. However, sand boxing on the shady slopes is not uncommon. Snow is stable with future hazard determined by the length of the high pressure.